One more reason to love Etsy. Kathy Welsh at Tails of Love made this bracelet from Hank's tail and mane hair. Could it be more beautiful? I don't think so. A wonderful way to remember him. It's beautiful. Happy Valentine's Day. Absolutely gorgeous as Hank! Love the video of the crew checking out the bracelet. This made by day. What amazing idea. A beautiful gift from Hank. Happy Valentines Day. It is absolutely beautiful! I love it! Who the heck is making all that noise in the background, by the way?! Are those the new chicks on the block, or the old hens?!? Ha ha!! What a lovely idea and beautiful as well! Wonderful way to keep Hank with you always. A lovely keepsake of a lovely friend. Missed you. Glad you're back. Hope you're back. Absolutely beautiful. What a wonderful remembrance. How wonderful...and beautiful. I sensed the herd knew exactly what it was. While nothing can really ease the pain, I'm sure having this bracelet is a comfort. What a dear and tender thing! What a wonderful idea! Gorgeous and comforting, I love it. Oh My. Love it. I'll be checking out that site next. I have a lock of mane from my mare when she passed in 2008. I'm sure it's not enough for a bracelet but maybe there are other options. It's lovely. Such a great way to remember Hank. I can't think of a more touching memory of love. Lovely remembrance. The herd seems to understand. Good morning Carson. What a beautiful bracelet to have in remembrance of your boy. I'm glad such artists exist. Maybe they always have, we just know where to find them now. 🐴😊 and no, it couldn't be more beautiful. So lovely. What a wonderful remembrance of the beloved Hank. It seems even the animals understand and miss Hank with you. What a nice remembrance. Beautiful bracelet and heartwarming video. Big hugs to all of you. Rafer and Redford still carry Salina's halter around the barn - Hank's herd will remember him always. Always and forever Handsome Hank. Beautiful remembrance bracelet. Yes, just right. Hank thinks so too. Hugs to you. Beautiful bracelet. That bracelet is beyond wonderful! What a fabulous keepsake. Tears in my eyes as I watched this clip. A lovely way to keep Hank close. To you and to the herd. Hugs! Perfect! What a beautiful way to remember Hank. I love it. A nice way to keep him with you always. Wonderful remenbrance of a beautiful horse. That's just so lovely. Tearing up here. You're back and I couldn't be happier. Thank you for sharing your beautiful bracelet with us. I wish I had done that with my last horse. I was crying so hard I couldn't think at all. 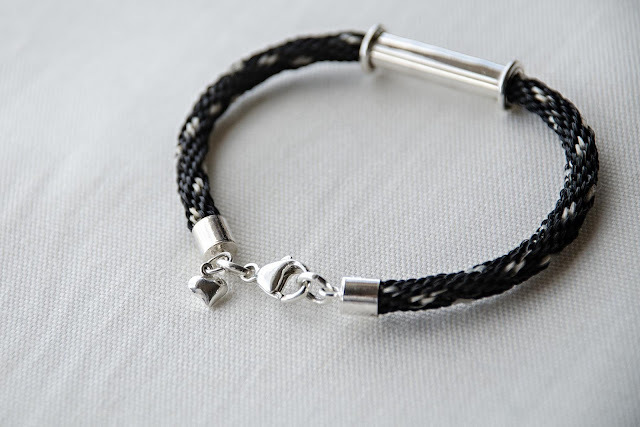 Such a pretty thing to wear on your wrist and remember him. Excuse me now, I have to go get a tissue, I have something watery in my eyes. That is so cool! What a wonderful keepsake. Such a lovely way to keep him close. I love the new banner. 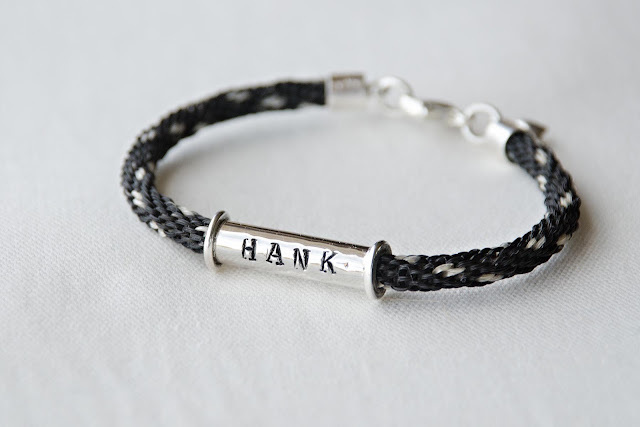 What a beautiful tribute to Handsome Hank and a great way to keep him close. Tears falling and love sent to you and your critters. xoxo Casa de Cuckoo. Lovely keepsake - I wonder if they could still smell Hank, it looked as though Lucy was taking a moment to remember him too. Very, very beautiful, this tail of love, and such a wonderful idea. The bracelet is beautifully done. I loved how Alan, George and Lucy lingered over it, probably recognizing Hank's smell. Sweet, expressive Alan has his nostrils flared to take it in. Of course, the bracelet brings back memories of your hatband made from Lyle's mane and tail. I had to go back and see it once more. I was hoping you would use your Go Pro soon, even if you don't feel like taking photos. Thanks for sharing. The new header is beautiful. What a beautiful bracelet! I love your new banner. Hugs to all of you. That is really lovely and perfect. So glad you're back. Ann from Maine. gorgeous and oh so sweet, Linda. 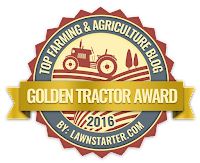 isn't it heart-warming to read the comments of the members of your blog community, all crying with you and remembering Beautiful Hank? I love the new banner although I will miss saying hello to the faces each time in check in. Oh Carson, that broke my heart. And it's beautiful. And the burros... they knew. Is that Alan in the new banner? I'm pretty sure it's not Lucy. But I'm not certain which of the boys it might be. P.S. please don't tell Alan. It is a beautiful. I hope you aren't gone too long, I am still waiting for a update from Danni on her Llama since April 1st of last year...I love your animal stories and hope you are all doing well. Miss you. Oh, Carson, my dear ... this is probably the most beautiful thing I have ever seen. So meaningful, and so personal. I know a few people who will certainly want to have one made for themselves. Thank you VERY much for sharing it with us. Beautiful header on the blog today. That is a beautiful bracelet. I love that it has Hank's name on it, too. I had one made from my mare's tail hair some years ago, but no name on mine. Not that we need reminders...but they do bring back sweet memories. It's nice to see the herd again. Sending good thoughts your way.